The Education Labour Relations Council (ELRC) briefed the Committee on its strategic plan, focussing on the fiscal years 2015/16 to 2019/2020, and explained that its strategic objectives were centred on two components -- dispute management and collective bargaining services. It was a bargaining council established in terms of the Labour Relations Act of 1999 and therefore it could not fall under the definition of an entity regulated by the Public Finance Management Act (PFMA). 68% of the budget was spent on achieving the specific dispute management and collective bargaining services goals, which were aligned with the Annual Performance Plan (APP). Members of the Committee felt that a huge amount had unnecessarily been allocated to the refurbishment of the ELRC-owned building. They sought clarity on various issues including revision of the Post Provision Norms (PNP), appointment of teachers, collective bargaining agreements, incentives for teachers, gender equality in the ELRC management structure, how to retain teachers in rural areas, and what could be done to ensure Cosatu did not interfere in staff appointments. Umalusi briefed the Committee on its budget review. The budget for 2015/16 was R134.6 million, but the grant that had been approved was R112.7 million. Even though there was a substantial decrease in the budget, targets would be achieved through reprioritisation of work. Members felt that the decrease in the budget would severely affect Umalusi’s traditional operation and that it would have to resort to its reserve to cover the deficit. They expressed their concerns about foreign-owned schools which did not meet Umalusi’s requirements. They felt that these schools should be closed, but Umalusi objected to the suggestion. Another concern was the fact that Umalusi could not check all schools throughout the country to determine those did not meet the requirements, but which learners were attending without knowing that they would be awarded non-authentic qualifications. Members sought clarity on how Umalusi dealt with fraudulent qualifications and with independent/private schools, on its relationship with the Department of Basic Education (DBE), and on how it would operate with a decreased budget. The Chairperson opening the meeting by acknowledging apologies from Mr T Khosa (ANC) and Ms J Basson (ANC), and proceeded to welcome the delegates from the Education Labour Relations Council (ELRC), Umalusi, and the Department of Basic Education (DBE). It was the first time that the ELRC would be briefing the Committee. The ELRC management was composed of men and only one female, the General Secretary, who was absent due to ill health. She wished to see more women in the management. She welcomed Mr Paddy Padayachee, Acting Director General: Department of Basic Education, to introduce the entities. Mr Padayashee thanked the Chairperson for that opportunity for Umalusi and ELRC to present their performances. They worked together and closely with other stakeholders, to ensure the primary objectives of the DBE were achieved. These entities would be reporting about their state of affairs, especially their accountability in terms of performance. Adv Luvuyo Bono, Chairperson, ELRC, took the Committee through the presentation, which covered the strategic plan overview, annual performance plan (APP) and the overview of the 2015/16 budget and Medium Term Expenditure Framework (MTEF) estimates. Factors that influenced the plans and activities of the ELRS were twofold: dispute management services and collective bargaining services. In the context of Labour Relations Act (LRA) 66 of 1995, the ELRC was a bargaining council in the public education sector established in terms of section 37(2) of the LRA, as amended. ELRC’s operations were guided by section 28 of the LRA, which set out the powers and functions of bargaining councils generally. In the context of the Public Finance Management Act (PFMA) 1 of 1999 as amended, ELRC was listed as a schedule 3A public entity, and section 1 of PFMA defined the role of a public entity. ELRC did not, however, meet that definition. There were conflicts between the provisions of the LRA (primary legislation) and the provisions of the PFMA (secondary legislation). In this situation, the LRA provisions prevailed. Adv Bono described the focus areas of the ELRC in the context of the three programmes: Dispute Management Services, Collective Bargaining Services and Administration Services. He enumerated the strategic outcome-oriented goals designed to achieve the above three programmes (see attachment). The Annual performance Plan (APP) was aligned with the Strategic Plan for 2015/16 to 2019/20. The strategic objectives had been fairly achieved. Adv Bono said that 68% of the R90 million approved had been allocated to the core business of Dispute Management Services and Collective Bargaining Services. There had been an increase in the budget caused by capital expenditure for the refurbishment of the ELRC owned building. Revenue increased by an average of 53%, whereas expenditure increased by an average of 9% over the MTEF period. He concluded by appreciating the oversight role of the Committee, which ensured accountability for the utilisation of limited resources. Ms A Lovemore (DA) sought clarity on the transfer for the refurbishment of the ELRC owned building, on how the disputes were reported, on what Adv Bono had meant when he mentioned revision of the Post Provisioning Norms (PPN). She remarked that there was an Afrikaans school in Eastern Cape that needed Afrikaans teachers. Instead of sending Afrikaans teachers, the ELRC had sent African language teachers. Some schools in the Eastern Cape did not have a curriculum. How could these shortcomings contribute to the number one goal, which was to ensure the quality of education? There had been consultation on this issue, and she sought clarity on whether the ELRC had been part of that discussion. Mr D Mnguni (ANC) expressed concern about gender equality in the management and suggested that gender equality was a sensitive matter that could be included in the targets to be achieved. He sought clarity on the education initiatives, namely the Quality Learning and Teaching Campaign (QLTC) and the National Education Collaboration Trust (NECT). He asked why the presentation did not provide the demographics of employees, including how many were employed and what the persisting and challenging issues arising from the previous financial year were. What progress had been made in terms of incentives for teachers? What were the indicators that would show how teachers could be made permanent? He finally sought clarity on the moratorium on the filling of posts for non-teaching staff in Mpumalanga. How long had it taken to reinstate teachers who were suspended, but who were found to be not guilty? 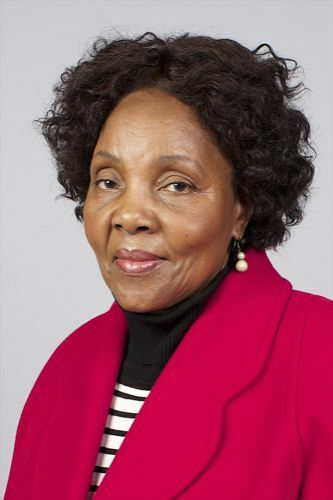 Ms M Mashabela (EFF) commented that Cosatu was a bigger contributor to resolution of teachers’ disputes and in most cases; members of other unions were side-lined. That could have a negative impact on quality education. What could be done to ensure that Cosatu did not interfere with appointments of staff, and how could the ELRC ensure that teachers were appointed based on merit? Mr T Khoza (ANC) sought clarity on the reasons that caused the case to be delayed. Was it about capacity? Ms D van der Walt (DA) sought clarity on what the salary packages were, on the number of cases that were registered per year, and why a huge amount had been spent on refurbishment. How could R50 million be spent on refurbishment? Ms N Mokoto (ANC) remarked that it was her expectation that the labour domain should remain peaceful and stable. For that reason alone, the ELRC should focus on avoiding violent protests. The ELRC had a huge budget, but the presentation had not illustrated actions that would be taken in terms of the Collective Bargaining Services. How was the interrelation between the ELRC and other labour-related stakeholders? Were there interdepartmental relations? Did the ELRC consider the views of the DBE in the development of strategic objectives? With reference to the presentation of the budget, she sought clarity on whether there was a new format to be used in the presentation of APP. If not, which format did the ELRC use? She found the ELRC format confusing. Ms Mokoto further asked why the issue of the refurbishment was still on table. Could the building not have been auctioned? The Chairperson sought clarity on the status of the ELRC at the provincial level. Did the ELRC have a seat in each and every province? She further sought clarity on the incentives of educators and commented that incentives should, in her view, not be the main focus. There were many other aspects of improvement that could be focused on. Were decision taken based on the outcome or recommendation of research projects? Was there any potential impact of social dialogue through the QLTC and NECT? On the issue of transferring funds, Mr Bono replied that the ELRC’s revenue was still critical. It had been supplemented with a surplus account in order to sustain expenditure. On the issue of how labour complaints were filed, Mr Bono said that the ELRC Dispute Management Services (DMS) dealt with these matters. In cases where a teacher who was dismissed, disciplined or received a final warning but was unhappy with the process, he or she could lodge a complaint with the DMS. The DMS would look into the matter to determine whether his or her case was substantively and procedurally fair. Matters were resolved on the basis of dispute resolution, and that approach yielded good results. Parties were trained in this area for them to know what the substantive aspects were. On the issue of collective bargaining, Mr Bono said that either one of the parties, whether it was the union or the DBE as employer, could raise an issue which was known “as matter of interest,” which might be to change the conditions of employment. The matter would be tabled for discussion on that particular aspect or aspects. They would then file the negotiations. The role of the ELRC was to facilitate the process of voluntary negotiation and ensure that they met each half way. Whatever was concluded could be made an order of the court. On the issue of the revised PPN, he responded that there had been wide consultation. The PPN was sitting with the DBE’s legal advisors. If it turned out that the DBE was happy, the document would be published. A decision had been taken to look again at the PPN. On the issue of collective bargaining in the Eastern Cape, Mr Bono said that he had facilitated it. There were two collective agreements that had been concluded in 2008 and 2012 respectively. In 2014, the ELRC had just given priority to these agreements, which included the issues of transferring teachers “in excess” to schools where their skills were needed most and reskilling certain teachers through training. With regard to disputes lodged in 2014 and 2015, the challenge was that they could not be completed in the specified period. Generally, a case dealing with promotion disputes could be handled within 90 days. This had been cut down to 30 days. The time frame was compatible with the provisions of the LRA. Within the next 30 days, the matter should be referred to arbitration. However, many cases were postponed because one party was not there, or due to other eventualities. The ELRC had negotiated various agreements and it was difficult to say how many cases had come forward. On the issue of labour unrest, Mr Bono said that there had been no labour unrest in the education sphere. He had resolved the issue of labour disputes in the Eastern Cape. To avoid labour unrest, the ELRC listened to the people timeously and facilitated negotiation. On the refurbishment of the building, he said there was no way that it should have come up, but the refurbishment was not the main priority. He could not remember when it had been agreed that the matter should not be talked about again. The Chairperson stated that it would be in the interest of the public to know how far the refurbishment project was, and when this project would come to an end. Adv Bono responded that the building could be completed any time soon. The Chief Financial Officer was the person who had conducted an oversight, and would therefore be forwarding a written report to the Committee. On the issue of children’s courts, the ELRC had been engaging in the discussion with the Department of Social Development and magistrates courts, especially in Mpumalanga and the Eastern Cape, in order to provide for facilities which were conducive for children to testify. Adv Bono said that he had no knowledge about the issue of Cosatu interfering with appointments. The issue of the Integrated Quality Management System (IQMS) had been resolved. There was a need to improve research capacity, but the ELRC was facing the issue of finance. Research was done on the basis of where pressing needs existed. Ms Van der Walt said it had been stated in the previous presentation that the ELRC was endeavouring to improve quality education in public schools. How was quality education assessed? She repeated her previous question on how the ELRC could spent a huge amount on refurbishment. Ms C Majeke (UDM) sought clarity on mechanisms available for children to file complaints against their teachers in case principals were unwilling to resolve the matter. Ms Lovemore she remarked that she was at an Afrikaans school where two posts could have been filled by Afrikaans teachers. Rather, African language teachers were appointed. Were appointments done in accordance with agreements? Mr Mnguni sought clarity on the retention of teachers, especially in rural areas. Ms Van der Walt sought further clarity on the percentage of the budget allocated to the salaries of the management staff. With regard to the Qualified Teacher Status (QTS), Adv Bono said that the ELRC had engaged with various stakeholders on how teaching services could be improved. On the matter related to collective bargaining, he said that once the parties in dispute reached an agreement, the ELRC stepped back. He indicated that it was the Minister who had prerogative power to review the incentives of educators. He concluded by stating that the ELRC prescribed to the principles of accountability, and that they had to comply with them. Dr Mafu Rakometsi, Chief Executive Officer: Umalusi, first introduced members of his team and proceeded to state that the brief would focus on what the challenges were, and what Umalusi’s contribution was to achieving quality education. Prof John Volmink: Chair of Umalusi Council, took the Committee through the presentation focussing on the Umalusi mandate, vision, goals, Key Result Areas (KRAs), 2015/16, and the three-year budget forecast. Umalusi’s mandate included to develop and quality assure qualifications and curricula; to quality assure assessment at exit points; to certificate learner achievements; to quality assure provision and accredit private providers of education and training and assessment; to conduct research related to the sub-framework; and to advise the Minister on matters related to the sub-framework. Umalusi had achieved an unaudited statement of financial performance as at 25 February 2015. It had net surplus of R19 440 165. Total assets were valued at R103 994 330. The budget for 2015/16, approved by the Minister on 10 February 2015, was R134 639 131, but the grant that was approved was R112 705 000. Evaluating strategic goals against targets, Prof Volmink said that even though there was a substantial decrease in the 2015/16 budget, targets would be achieved through reprioritisation of work. Prof Volmink gave details of the total income for the financial years from 2000/2001 to 2013-2014, and the DBE grant as from 2002-2003 to 2015-2016. Class action – litigation by learners whose results had been blocked as a result of the pending group copying hearings. Prof Volmink thanked the Chairperson and Members for the opportunity to present Umalusi’s budget review. Mr Khosa welcomed the presentation and remarked that it seemed that it would yield a good result. Umalusi was quality assuring qualifications and curricula -- how would it bridge the gaps that it had identified? With regard to the process of certifying qualifications, he sought clarity on whether they had come across fraudulent qualifications, and how they had dealt with them. Did they have an intention to go deep and uproot fraudulent qualifications? Ms Majeke sought clarity on how Umalusi dealt with independent or private schools. Did Umalusi evaluate these schools province by province? Ms Lovemore, with reference to independent schools, sought clarity on how Umalusi dealt with non-accredited and/or non-registered schools, especially with children whose qualifications could not be recognised. What was the purpose of having different qualifications with various certificates, some of which were not recognised by employers? Mr Mnguni expressed his concern about the monitoring and evaluation of independent schools. He commented that most of these schools were foreign-owned. They were awarding fraudulent certificates. Was it possible to close them down? He sought more clarity on the issue of standardisation and the recent comments that had been made by Umalusi, that a national exam was so easy? Would Umalusi be happy if a difficult exam was prepared and children failed? Was the intention of teaching not for the children to pass subjects? Ms Mashabela asked whether there was a strategic plan to evaluate all independent schools, city by city. Ms Mokoto said that she always placed emphasis on interrelation and interdepartmental cooperation, because that relationship was key to the manner in which an entity or Department could enhance its mandate. In that respect, whatever Umalusi could strategise should aim at taking the DBE’s priorities forward. Some of highlighted matters that had been strategised by Umalusi were lacking in various respects. Their timelines could not be determined. She felt that Umalusi was not working hand in hand when one took into consideration their disagreement on the standard of national exams. Taking into account the decrease in the budget, she commented that Umalusi could use its reserves to cover some of expenses. She sought clarity on how yhe reserve had been accumulated. Ms H Boshoff (DA) felt that the fact that Umalusi had settled for a decrease in its budget was an indication that they would use its reserves. If not, Umalusi had no significant work. How could it explain the massive decrease? The Chairperson sought clarity on how the quality of qualifications was assured. What was the Umalusi’s role in ensuring quality of education? On the involvement of Umalusi in lower grades, Dr Rakometsi responded that Umalusi supported the DBE in covering the gaps. However, Members could remember the Umalusi’s mandate, derived from the enabling legislation -- it quality assured qualifications on the basis of National Qualifications Framework (NQF) levels. It was based on the DBE report to determine the quality of education, and also on continuous engagement with other stakeholders. The Umalusi had suggested that Annual National Assessments (ANA) could be researched to determine whether Umalusi could be incorporated in the programme or not. The research could have determined the role of the DBE and Umalusi. Dr Rakometsi said that the issue was not related to fraudulent qualifications. Fraudulent was not a proper word to use. A qualification could either be authentic or non-authentic. The duty of Umalusi was to determine whether a qualification was authentic. On the issue of ensuring that schools were accredited, he said that the country was so wide that Umalusi could not track down all schools to check whether they were awarding authentic and legitimate documents. Even the police force stationed in each and every corner of the country could not track down criminals with fraudulent documents. Umalusi had no capacity to go town to town or district to district to assess all schools. In that respect, the onus was on parents of learners to ensure that their children attended the right schools. A parent should check whether a school was Umalusi accredited. Dr Rakometsi said that there were security features (water marks) on a qualification document that could help Umalusi to determine whether a qualification was authentic. Even if the water mark was forged, Umalusi could still determine whether the document was fraudulent or not. With regard to foreign-owned schools, he said that Umalusi did not conduct quality assurance on education which did not fall within the South African education system. However, in terms of Umalusi’s protocol, it was obliged to register all independent schools. Umalusi could rely heavily on teachers’ qualifications to determine the quality of education. With regard to the provision of different certification, he said that LLB degrees, for example, were different depending on the institution. It was the duty of an employer to ensure that it employed a person who held an appropriate LLB degree. The differences between various qualifications were explained through campaigns and advocacy. On the issue of closing down foreign-owned schools, he responded that closure would amount to discrimination. If foreigners were within the South African dominions legally and were allowed to engage in business, they could not be prevented from running schools. What ought to be done was to ensure that they were accredited by Umalusi. Regarding disagreement over exam levels, he said that Umalusi was engaging with the DBE to standardise the national exam paper. The national exam should not appear to be easy at all. It must be a bit difficult, to test learners’ intellectual capacity. Learners were expected to be able to compete with the world at the tertiary level. Dr Rakometsi said that Umalusi did not evaluate foreign qualifications to determine whether they were authentic or not. That was the work of the South African Qualifications Authority (SAQA). It just compared the matric equivalent with other foreign countries. Mr Mnguni commented that it was inappropriate to say that parents had a duty to determine whether a school was accredited or non-accredited. Umalusi knew the demographics of the country in terms of education. It knew that most parents were illiterate and the areas where most the illiterate people were based. Foreigners also knew South Africans, inside and out, and knew South African weaknesses. They were using illiteracy to their own advantage. The establishment of a team to monitor and evaluate all schools was needed. He again sought clarity on exam standardisation? Was it about a difficult or easy paper? Ms Lovemore sought clarity on the process of school registration and the issue of having different certificates. The issuance of various different certificates could not be compared to the people who were awarded LLB degrees from different institutions. Could Umalusi advise the DBE that certain subjects were outside of the standards? What was the role of Umalusi in ensuring quality subjects? The Chairperson sought clarity on the importance of having various certificates and in which way they could advantage learners. Dr Rakometsi emphasised that the issue of monitoring did not fall within the scope of Umalusi, unless its mandate was extended. In addition, financial capacity was lacking. Learners should be able to determine whether a school was Umalusi accredited or not. He reiterated that Umalusi did not want learners to write an easy paper because this would not work to their advantage in the future. He said the National Senior Certificate for Adults (NASCA) was an exciting learning development that had been borrowed from United States education system. It had four subjects, instead of six. The Chairperson stated that due to insufficient time to engage with the presentation, the Committee would invite Umalusi for further engagement on certain matters that remained unclear. The Chairperson stated that the meeting was running behind its schedule and therefore minutes and reports would be considered in the next meeting.